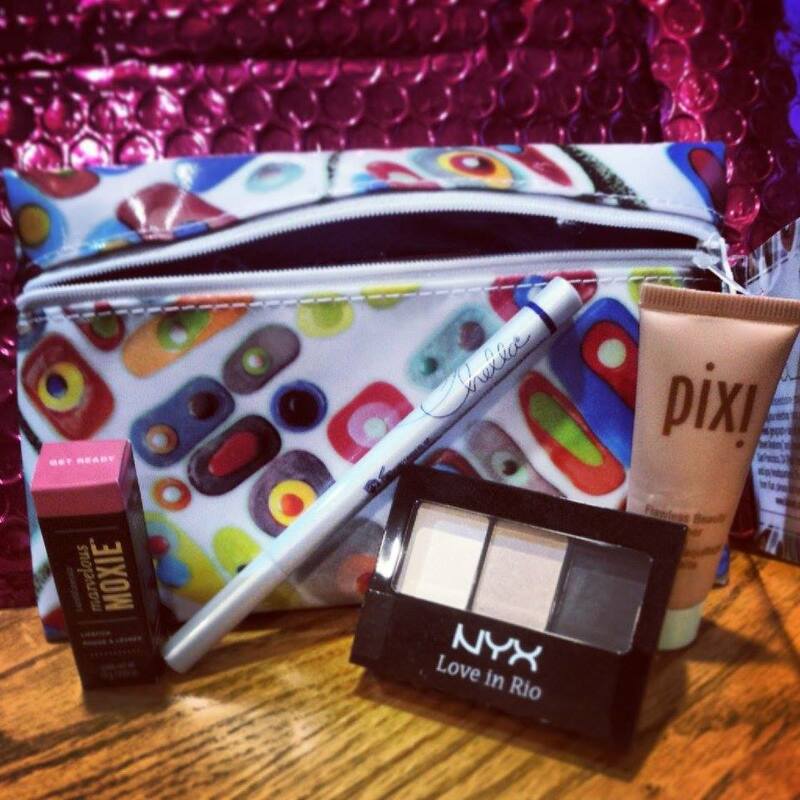 Last month I signed up to receive my first Ipsy Glam Bag. Well I am completely in love!! I have been looking for a way to throw some new makeup products into my day to day routine. For $10 this bag is a steal! The bag is so cute!! I decided to use it as a prize bag in my substitute bag. So It is now filled with stickers and erasers. The Bare Minerals Marvelous Moxie Lipstick is a great color. As I have said before I am not a huge fan of color on my lips but this is a great shade. It is not too vibrant and just adds a small bit of color to my lips. It has made its way into my makeup bag and I am excited to use it. The Chella Eyeliner Pen in Indigo Blue is very nice. I have never used an eyeliner pen. It draws such a great line. I am not a huge fan of blue eyeliner but I think I can find some uses for this. The NYX Love in Rio eye shadow is perfect. I mostly use browns on my eyes so I was so excited to try it. It works well. Did not last very long on its own. I used the Pixi Primer (that did not match my skin tone very well) as a primer and it did help to hold the eye shadow a bit longer! If you want to try Ipsy I suggest it for $10 a month it is a steal. This first bag makes me a believer! Check out my referral link. From what I have read it is the fastest way to get a bag because there is a waiting list! Collecting Conversat… on Pay it forward! BabblingDani on Pay it forward! An author's journal of personal adventures, favorite things, and random thoughts; shared with family and friends. The truth isn't always pretty. How else would you spend the best years of your life?